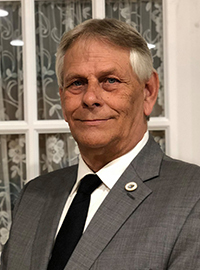 As the Council Member for District 8 , Mr. Guidry represents the community areas known as Roberta Grove, Little Caillou/Chauvin and Cocodrie, as well as some parts of Grand Caillou Road North of Industrial Boulevard, Acadian Drive and the Houma Air Base. Mr. Guidry is the Chairman of the Council's Community Development and Planning Committee, and is a member of the Metropolitan Planning Committee. He is a local business owner, served in the U.S. Air Force, is a member of the American Legion, a Chamber of Commerce member, and a member of Partners in Education.